3 Press the Enter key on your keyboard twice. 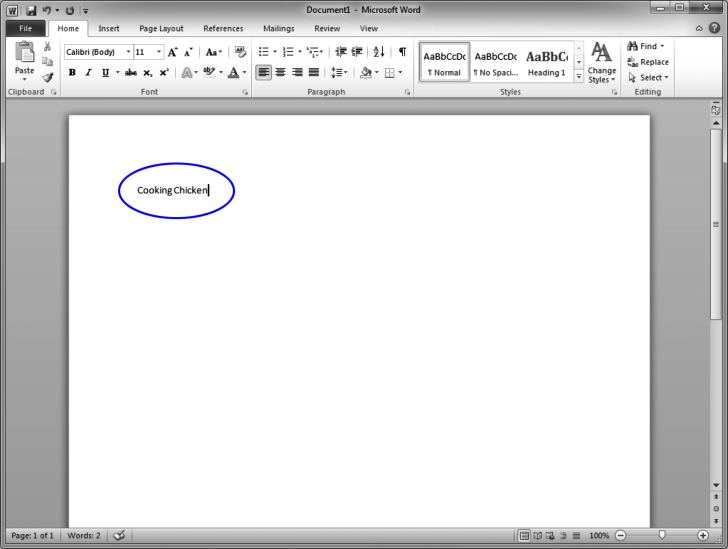 TIP: Pressing the Enter key twice should add two blank lines between the words Cooking Chicken and the blinking cursor. 5 Press the Enter key on your keyboard.